When not in use, Chromecast displays a slideshow of seemingly random photos from around the world. What few people know is that the ability to change these photos does exist deep within the Chromecast settings. If you’re using a Chromecast in a Ditto-enabled room, it’s rather handy to automatically display Ditto connection instructions on the Chromecast itself. To connect to Ditto, users only need to read the on-screen instructions. To begin, you’ll need to download the background image for the room you’re setting up. Visit the Rooms section of your Ditto account. Click the “Room Background” button. Save the image that appears. This image explains how users can connect to the display wirelessly. 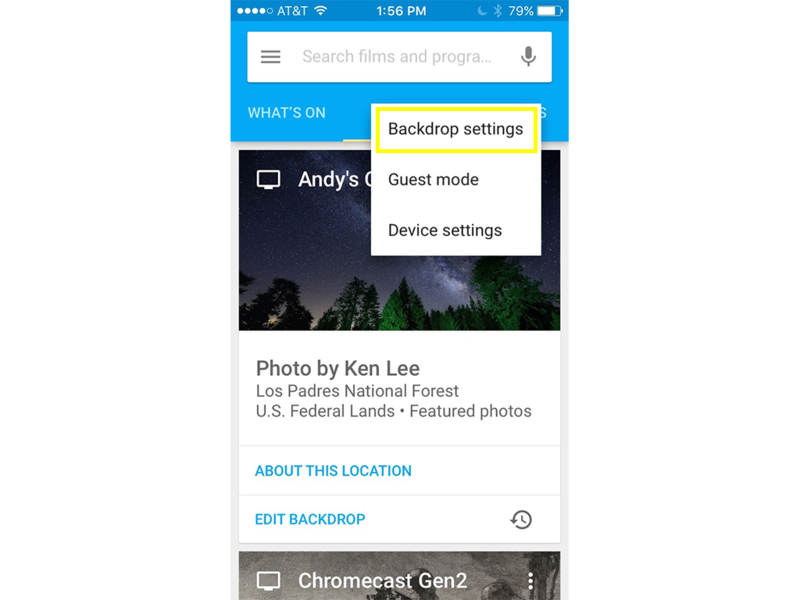 Now that the image is saved, you’ll need to add it to Google Photos. Visit the Google Photos website. Upload your Ditto room background image. Add the room image to two new albums. Create two albums that are named similarly to the room you’re setting up. 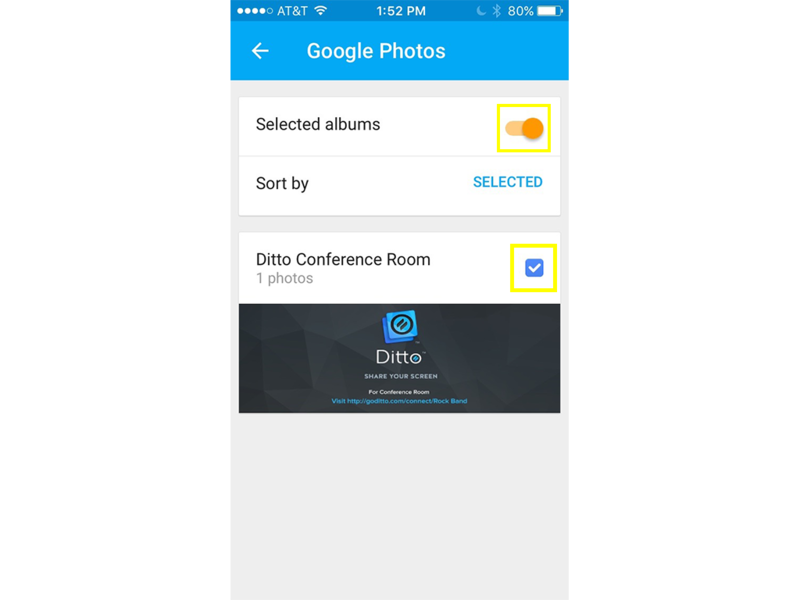 Two albums containing only the same Ditto background image are required for each room you would like to configure. The albums must be empty of everything but this image. You need two photo albums because Chromecast automatically rotates between albums. If you don’t have these two albums selected, Chromecast will rotate between the other preset Google Photo albums. Now that the Ditto room background image is in two albums, you can tell the Chromecast to only use a specified image for a screensaver or background. First, you’ll need to download the Google Home application on a phone or tablet. 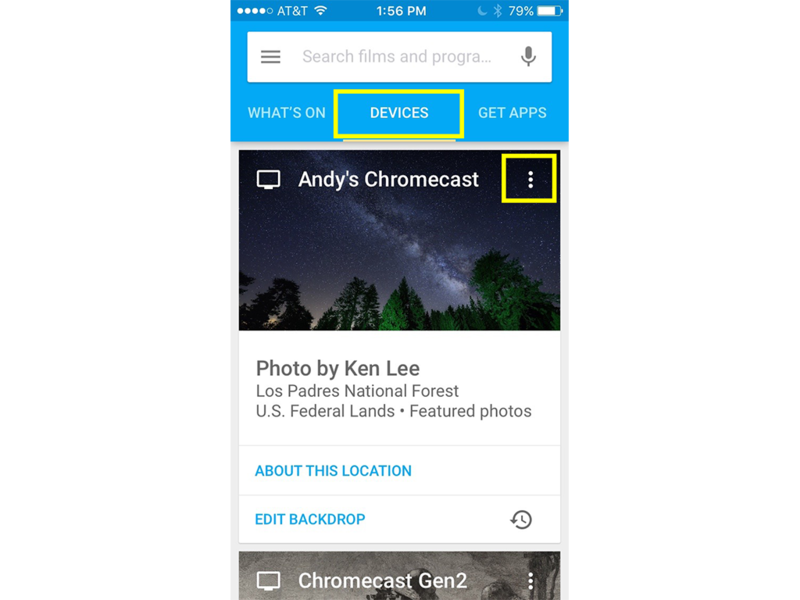 The app is available for Android and iOS, and it lets you configure Chromecast options including the background and screensaver for your Chromecast. Once downloaded, connect your phone or tablet to the same wifi network as the Chromecast you would like to configure. The Google Home app on iOS and Android works nearly the same for both platforms. Tap the “Devices” tab to be presented with a list of available devices on your network. At the top right of the Chromecast you would like to configure, tap the three vertical dots to open a menu. 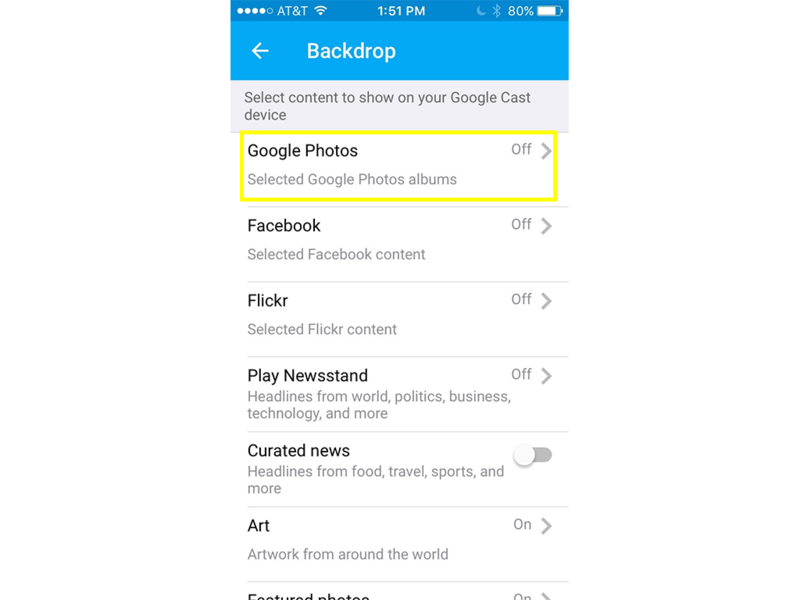 Tap the Google Photos option. Select the image albums that match the room you’re setting up. That’s it! 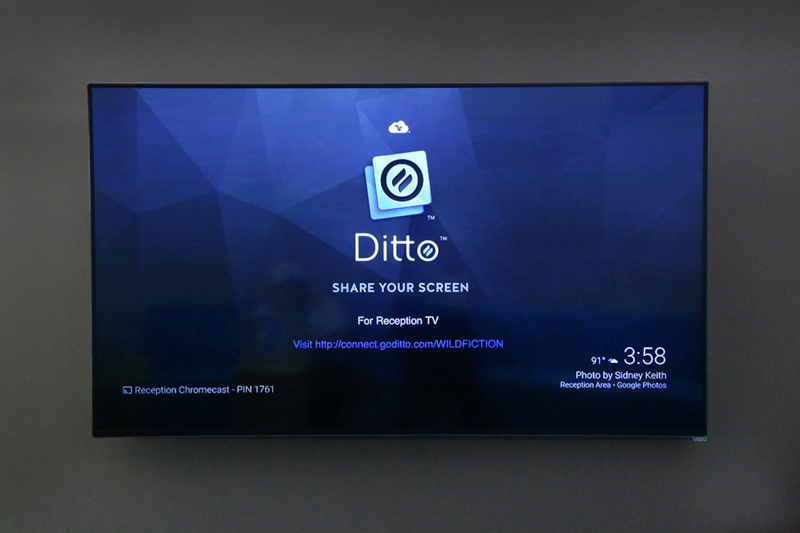 The background image will now appear on the Chromecast in your Ditto room. Perform these same steps for each Chromecast you would like to set up.